The Breakfast Spirit Badge was made after Baron Davis found out that Rangers were not eating a solid breakfast. He then managed to find a cavern filled with Canyon Dan’s, and started a campaign where Rangers could earn the breakfast badge by eating 3-5 cans for the morning meal. 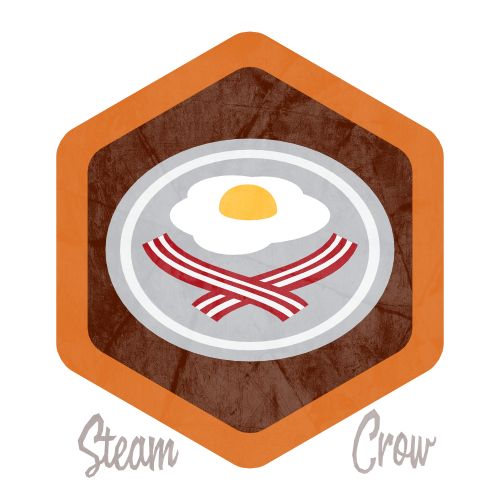 Soon the practice was dropped, but the Breakfast Badge has stayed with us. There is but 1 level of the Breakfast badge. Breakfast is Daniel’s favorite meal of the day, just after Lunch, Supper, and Dinner. 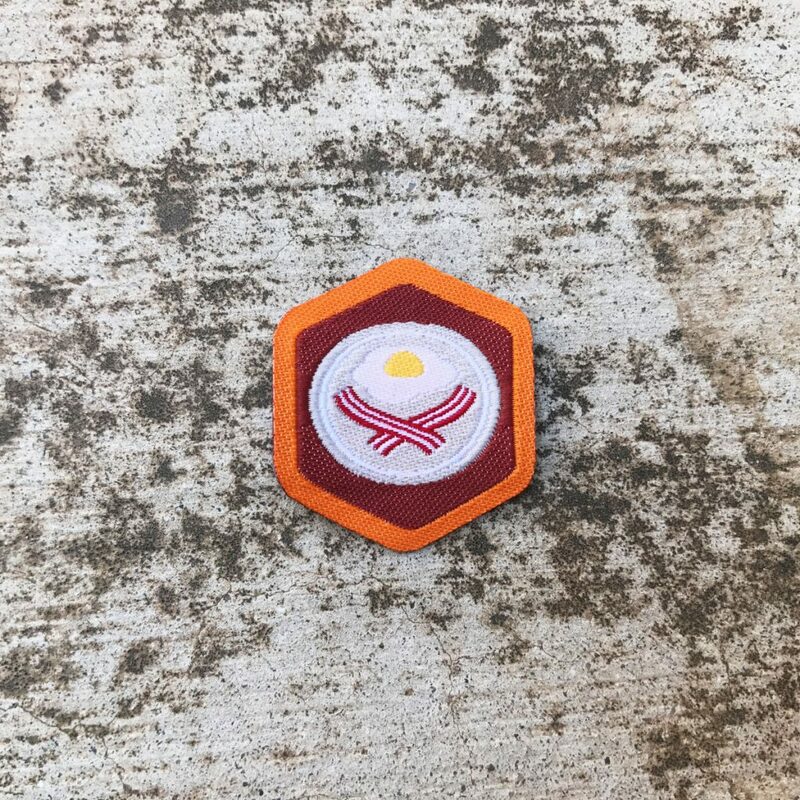 The Breakfast badge is worth 10 Glory points, just like most Spirit Badges. The egg and bacon are arranged like a skull and crossbones to remind you to eat this dish, but not everyday. Take another Ranger out for breakfast, and take photos of your meal and each other. Add the photo to your Rangers Sketchbook.